The liability of a failure to diagnose or delay in diagnosis medical malpractice case often rests on the information revealed by a diagnostic test. Both defense and plaintiff attorneys and their experts will be interested in what the test showed. Computerized axial tomography (CT) scans and magnetic resonance imaging (MRI) are usually stored in digital form. Obtaining those scans on a CD-ROM disk provides significant flexibility, especially when more than one expert will be reviewing the images. 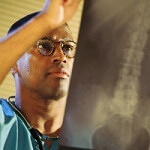 Plain radiographs (x-ray films) are becoming more commonly available in digital form. Where diagnostic images can be obtained on disk, they should be. It is more efficient to copy and mail a CD-ROM than to package and send large and ungainly packages of films, much less to send those films from one expert to another. Such files are usually provided with an integrated viewing program, such as those based on the Digital Imaging and Communications in Medicine (DICOM [TM]) standard. If not, a number of viewers are available as “freeware” for download from the internet. Mammograms are most often available only on film, and copies are usually not suitable for expert review due to degradation in image quality. Original mammogram films should be obtained early in the evaluation and handled carefully, as they are often key to claims of delayed diagnosis of breast cancer. Obtaining diagnostic fetal ultrasound images may present a challenge. Copies are not likely to be of suitable quality for expert review, and providers will sometimes vigorously resist attempts to obtain the original paper images, including opposing motions for pretrial discovery to require their production. It is sometimes possible to obtain digital copies of the original images. Although this can be costly, it is probably less so than engaging in extended motion practice, or paying an expert to go to the potential defendant’s facility to examine the original documents. Cases have been won and lost on the quality and interpretation of diagnostic tests. Be sure to make every effort to safeguard original films. Experts must be instructed on methods of returning films to the appropriate location. Sadly, cases have been won and lost on misplaced films. Modified from Medical Legal Aspects of Medical Records, Second Edition, 2010. Need help figuring out how an error occurred? Our legal nurse consultants work with medical records and attorneys to create chronologies, develop questions for depositions of defendants and suggest items to obtain through discovery. Give us a call. We’re here to help. Read more about Med League’s services in medical record analysis.